Apple’s 3D Touch technology revolves around a pressure-sensitive display that is present inside phones and other products to bring up more functions without opening up additional options from the application itself. While it will get better in the future if third-party developers actually start to take advantage of it, ForcePhone is a new tech in the form of software that will allow users to experience the same pressure sensation as they do on Apple’s current generation iPhones. From the University of Michigan, engineering researchers have created an experimental piece of software called ForcePhone. 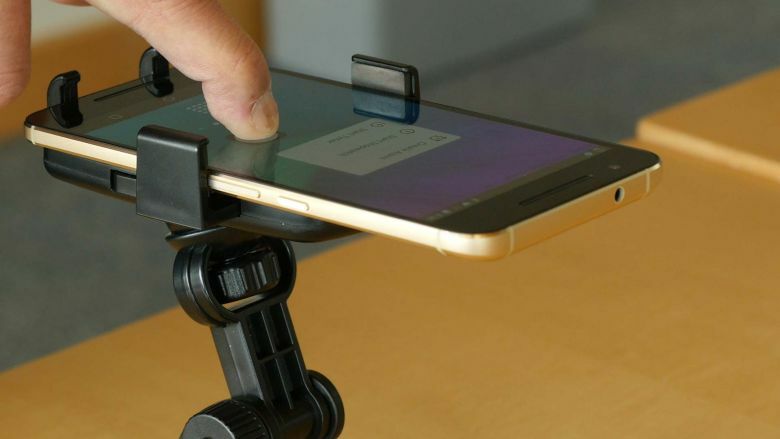 Without needing the aid of any additional hardware, ForcePhone can essentially bring Apple’s 3D Touch technology to your Android smartphone, regardless of the kind of specifications it houses inside. So what exactly does your smartphone need to have in order for it to be compatible with ForcePhone? A microphone and speaker. Since every phone, be it an Android handset or one running Windows 10 Mobile features the mentioned components, ForcePhone will easily be able to run on these devices. So what is the magic of ForcePhone and how does it work? It sets your speaker to emit a tone at a frequency that is higher than 17kHz. 17kHz cannot be heard by humans, but it can still be recognized by your smartphone and creates a vibrating sensation that when triggered with mobile apps, can bring up a wide range of controls from within that app. If the software feature is implemented in phones fast enough (although we doubt it is going to happen this fast), it will bring a new form of interaction on every devices; even those that carry a price tag less than a $100 bill. So it is possible that ForcePhone will be implemented in phones in 2016? Highly doubtful, but we should still keep our hopes up when 2017 commences.